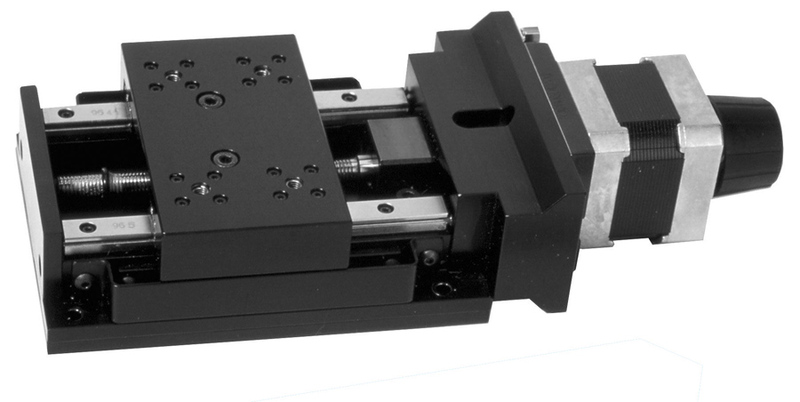 A compact design with miniature rail bearings, G0, 1mm pitch ground ballscrew and travels from 25 to 100mm, the 3000 series linear stage offers stability and accuracy in a small package size. Both 17 frame size stepper and small servo motors with encoders are easily integrated onto the stage, offering resolutions to 0.1µm and better. Integrated mechanical datum and limit switches are common to all the models and connections are made by way of a secure 15 way D type connector.